The Today show has suffered weeks of bad ratings. And in another blow for Nine’s flagship program, it was beaten again on Thursday by ABC News Breakfast. In figures shared by TV Blackbox, the ABC morning program drew in 181,000 viewers across the five-city metro, while Today managed to snare 178,000. Seven’s Sunrise, however, was still on top, attracting a whopping 279,000 viewers. ABC News Breakfast is co-hosted by Michael Rowland and Virginia Trioli and airs on ABC and ABC News. 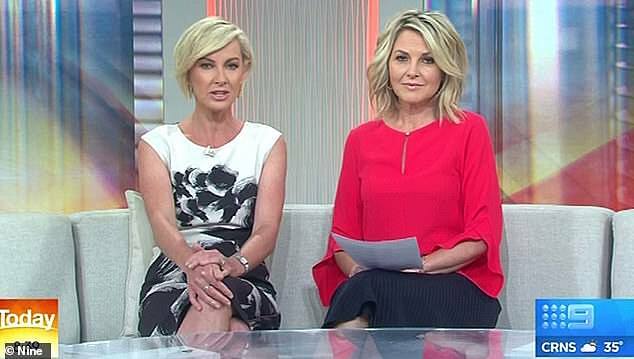 In early March, the Today show pulled in 264,000 metro viewers which was significantly less than rival Sunrise’s 447,000 viewers, according to OzTam. In a surprising twist, Today was also beaten by little-known News Breakfast on ABC, which had 265,000 national viewers. Speaking with TV Blackbox on Friday, Michael said the latest win was a real coup. ‘This result was particularly gratifying as yesterday’s show contained everything we do best: rolling coverage of a big story, great teamwork by the presenters and astute analysis from the likes of Barrie Cassidy,’ he said.